After completing his first state examination, Jens Michael Künzel studied at the University of East Anglia in Norwich in 1996 and 1997, where he was awarded an LLM in common law (distinction). He started focusing on industrial property rights during his legal clerkship in 1998 and 1999, spending a number of months at Krieger Mes & Graf v der Groeben and at the civil chamber of the Dusseldorf District Court (competent for copyright and competition law). 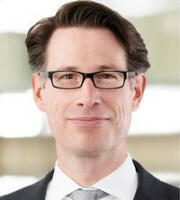 Mr Künzel started his professional career at the firm of Krieger Mes & Graf v der Groeben in March 2000. Since then he has acted for large and medium-sized national and international companies in all matters relating to IP rights, in particular patent and design infringement and unfair competition litigation. Mr Künzel’s experience extends to patents relating to many diverse technologies, including mechanical engineering (in particular, packaging and printing machines and exhaust cleaning facilities), telecoms, medical devices, adhesives and tape technology and chemistry. Mr Künzel also has considerable experience in enforcing design rights and trademarks. Since 2001 he has been acting for a prominent German manufacturer of luxury sanitary fittings in connection with design infringement and counterfeiting. As well as litigation work, he regularly advises clients with regard to IP infringement and the drafting of licence agreements. Mr Künzel is a member of the German Association for the Protection of Intellectual Property, the German regional group of the International Association for the Protection of Intellectual Property and the German-British Lawyers Association.